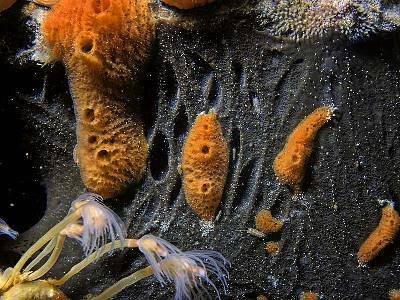 Description: This sponge is usually found filling crevices in vertical rock faces. 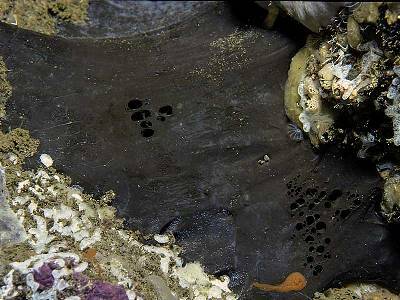 It has the appearance of a black membrane stretched across the back of the crevice. Habitat: In crevices in vertical and overhanging rock faces, especially on limestone. Distribution: Known recently from the west and southwest coasts of the British Isles. 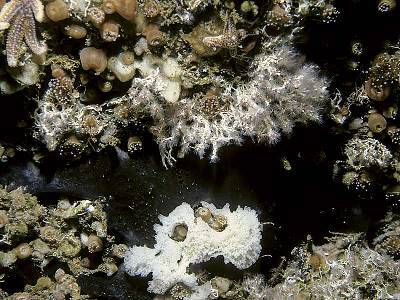 Similar Species: This is the only thick black sponge known to be found in the British Isles. Picton, B.E. & Morrow, C.C. (2016). Dercitus bucklandi (Bowerbank, 1858). [In] Encyclopedia of Marine Life of Britain and Ireland.